We support our clients in monitoring the unauthorized use of their brands and intellectual property rights, taking care to monitor the market and devising a plan of action against those who usurp their creations. We have outstanding professionals in the civil and criminal perimeter, who contribute in the search for the best result in actions against counterfeiting. Additionally, we assist clients in the registration of their brands before the General Customs Office. Well-informed and trained authorities and consumers are key players in the fight against counterfeiting. Through Public Campaigns, we support by alerting consumers, customs and distributors about the nature of the products, all with the aim of raising awareness about the magnitude of the problem of counterfeiting and its economic impact. 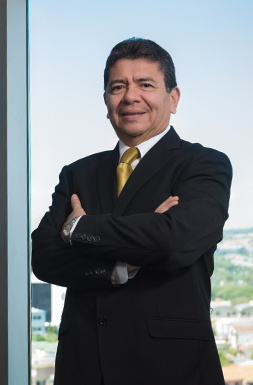 Carlos is a Partner of the Firm and Director of the Litigation Department in the area of Intellectual Property.